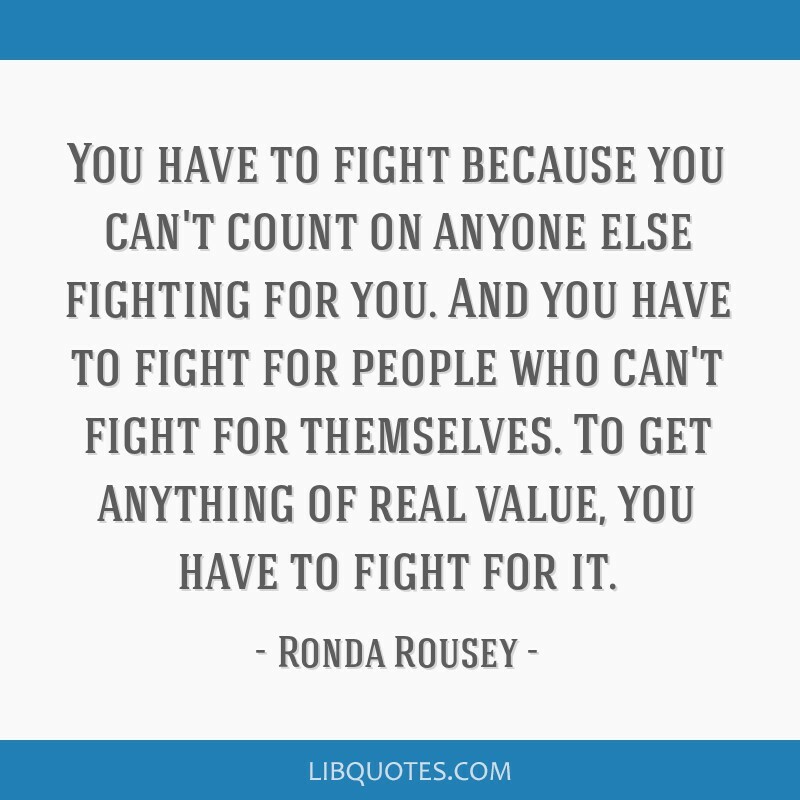 You have to fight because you can't count on anyone else fighting for you. 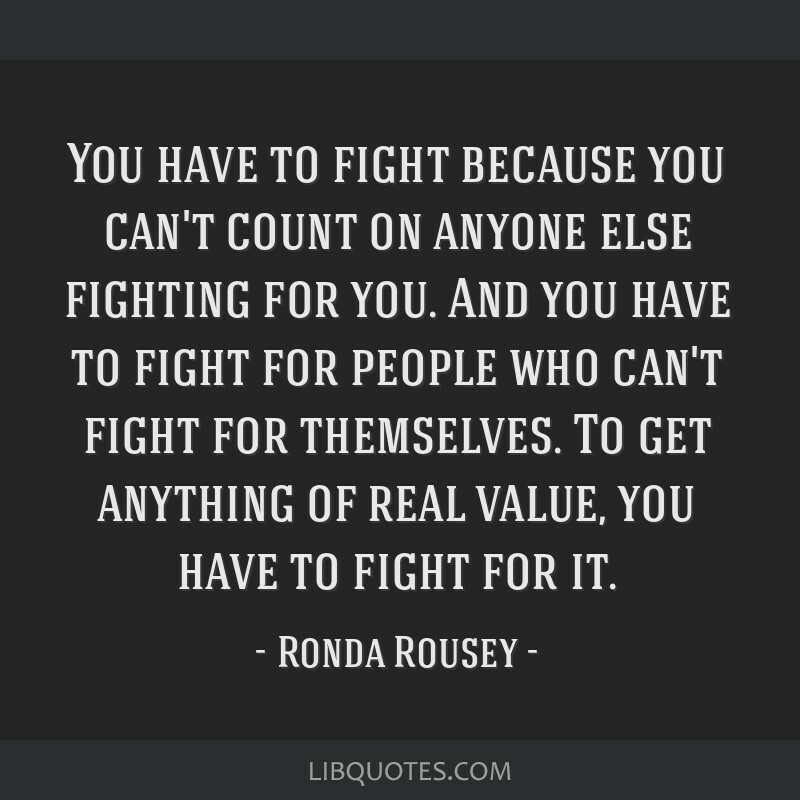 And you have to fight for people who can't fight for themselves. 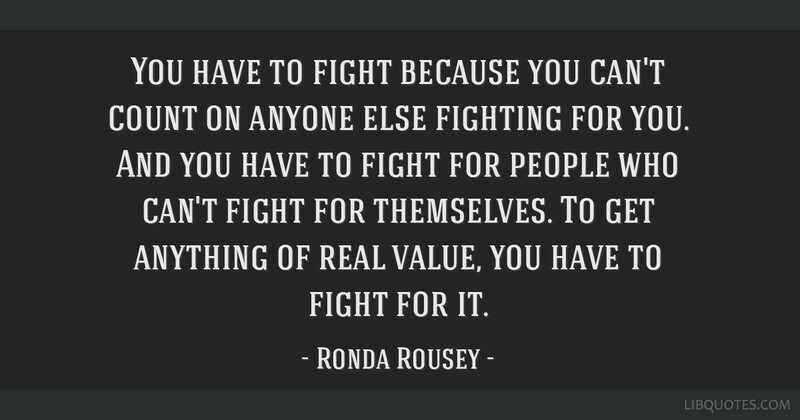 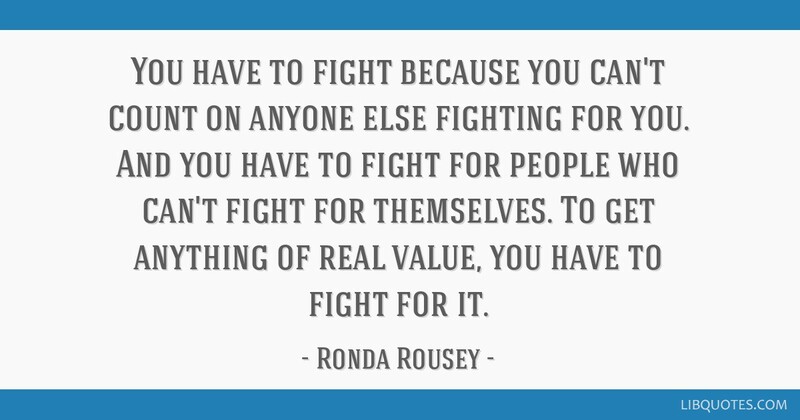 To get anything of real value, you have to fight for it.